Liczba stron: 7 Jest to ujednolicona liczba stron, która ułatwi Ci porównanie długości książek. Każda strona Legimi to 200 słów. 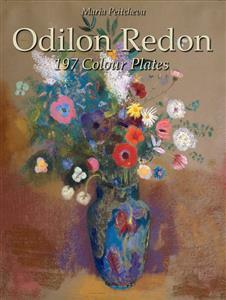 Odilon Redon was a French symbolist painter, printmaker, draughtsman and pastellist. He describes his work as ambiguous and indefinable:"My drawings inspire, and are not to be defined. They place us, as does music, in the ambiguous realm of the undetermined. "Redon's work represents an exploration of his internal feelings and psyche. He himself wanted to "place the visible at the service of the invisible"; thus, although his work seems filled with strange beings and grotesque dichotomies, his aim was to represent pictorially the ghosts of his own mind.